Seth Montgomery – 5-8pm at Elgin Local Goods, 201 N. Main Street, Elgin, TX. During Sip, Shop & Stroll. 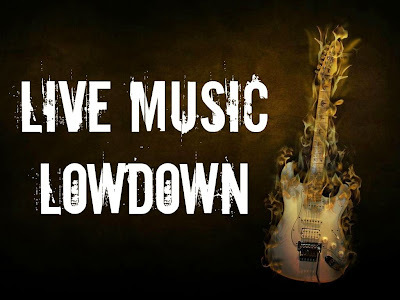 Local Live Music – 5-8pm at the Owl Wine Bar & Home Goods Store, 106 N. Main Street, Elgin, TX. Sip and shop to live music at the Owl during Sip, Shop & Stroll. Songwriter’s Serenade with Chuck Hawthorne and Libby Koch – 7-8pm at Neighbor’s Kitchen & Yard, 601 Chestnut Street, Bastrop, TX. Come out to Neighbor's Kitchen and Yard for the second installment of the Songwriter's Serenade series hosted by Poor Lazarus. Every other Thursday or so, they bring in a few folks to share their songs, stories and whatever else moves them. Karaoke – 7-11pm at La Hacienda Restaurant, 1800 Walnut Street, Bastrop, TX. Wind down the week by belting out some tunes with your friends at La Hacienda. Bob Ojeda Live – 6-9pm at Maxine’s on Main. Get the weekend started out right with local favorite, Bob Ojeda. Call (512) 303-0919 for more info. Free cover! Mariachi Los Gallos – 7-9pm at El Nuevo Mexico Restaurant, 201 Childress, Bastrop, TX. Enjoy an authentic Fiesta atmosphere with Mariachi Los Gallos playing while you sip margaritas. Free cover! Live Mariachis – 7-9pm at La Hacienda Restaurant, 1800 Walnut Street, Bastrop, TX. It's a fiesta every Friday night at La Hacienda with good food, good drinks and live mariachis to chase it all down. Free cover! Open Mic & Game Night – 7-10pm at the Owl Wine Bar & Home Good Store, 106 N. Main Street, Elgin, TX. Join the Owl Wine Bar & Home Goods Store and play Bananagrams, Apples to Apples, the Settlers of Catan and more. Bring your own game or use one of theirs. It's also their weekly open mic night when they host musicians, poets, and spoken word artists. Free cover! 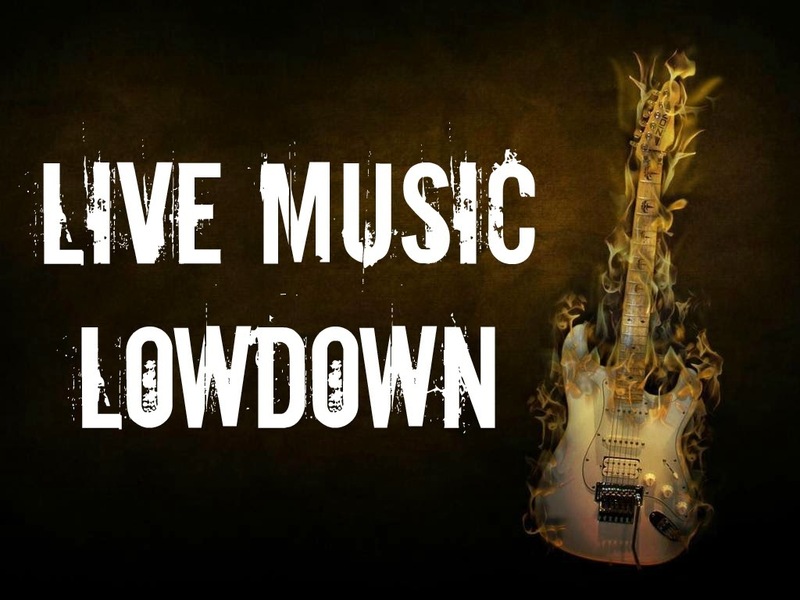 Local Live Music – 7-11pm at the Grace Miller, 706 Pine Street, Bastrop, TX. Enjoy good food, drinks, fun, friends and live music by local musicians. Call (512) 332-2991 for more info. Free cover! Beto y los Fairlaines – 8-10pm at Veteran’s Park, 109 Depot Street, Elgin, TX. Friends of Elgin Parks kicks off their spring concert series. FREE! Victor Andrada – 8-10pm at Sheller’s Bar, 575 Hyatt Lost Pines Road, Lost Pines, TX. Enjoy live music, drinks, fun and friends at Shellers Bar at the Hyatt Lost Pines. Karaoke – 8pm – midnight at Charlie’s Bar, 1200 NE Loop 230, Smithville, TX. Call (512)237-3382 for more information. Brandi & Keith – 8pm-midnight at the Cistern Country Store, Hwy 95 at FM 2237, Flatonia, TX. Glen Collins Band – 8pm-midnight at Roadhouse Paige, 147 Old Hwy 20 E, Paige, TX. Karaoke – 8:30pm-1am at the American Legion Post 295, 115 Main Street, Elgin, TX. Sing in the weekend at the American Legion. Call (512) 285-6317 for more info. Local Live Music – 11am-2pm at The Grace Miller, 706 Pine Street, Bastrop, TX. Enjoy a lazy afternoon with good food, drinks, fun and friends with local favorites providing the soundtrack. Call (512) 332-2991 for more information. Fletcher Clark – 1-3pm at Olde World Bakery, 112 Main Street, Smithville, TX. Grab your friends for lunch and local favorite, Fletcher Clark. Logan Tucker Band – 2pm-midnight at Red Rock Steakhouse and Saloon, 101 S. Lentz, Red Rock, TX. Grand opening celebration with live music, washers tournament, kid's activities, and more. Cascade Rye – 6-9pm at Maxine’s on Main, 905 Main Street, Bastrop, TX. Wind down the week with Maxine’s and Cascade Rye. Call (512) 303-0919 for more information. Local Live Music – 7-11pm at The Grace Miller, 706 Pine Street, Bastrop, TX. Call (512) 332-2991 for more information. Kathy Murphy & Bill Jones – 7:30-9:30pm at the Owl Wine Bar & Home Goods Store, 106 N. Main Street, Elgin, TX. Head out to Elgin on Saturday night and enjoy Kathy Murray and Bill Jones as they combine their talents into a one-of-a-kind Texas roots music experience. Billy Joe Shaver – 8pm-midnight at Neighbor’s Kitchen & Yard, 601 Chestnut Street, Bastrop, TX. Spend an evening with one of the most respected living figures in American music, whose songs became country standards during the 1970s. And Johnny Cash was quoted as naming Billy Joe Shaver as his favorite songwriter! Tickets $15/person. Jeff Wood – 8-10pm at Shellers Barrelhouse Bar, 575 Hyatt Lost Pines Road, Lost Pines, TX. Enjoy live music, drinks, fun and friends at Shellers Bar at the Hyatt Lost Pines. Blue Sunset Band – 8-11pm at Roadhouse Paige, 147 Old Hwy 20 E, Paige, TX. Karaoke – 8pm-midnight at the American Legion Post 533, 3003 Loop 150 E, Bastrop, TX. Call (512) 321-5555 for more info. Karaoke – 8:30pm-12:30am at Peggy’s Bar, 1591 TX-71, Cedar Creek, TX. Karaoke – 8pm-1am at Charlie’s Bar, 1200 NE Loop 230, Smithville, TX. Call (512)237-3382 for more information. JW & Company Band – 9pm-1am at Cistern Country Store, Hwy 95 at FM 2237, Flatonia, TX. If you have anything to add to the list, please email us here.